Your one-stop shop for repairs. Design a one-of-a-kind ring just for you. Discover the value of your favorite piece. Engagement rings and wedding bands crafted to bring out the inner radiance of any diamond. Capture the Excitement Of Your Journey. Crafted To Bring Out The Inner Radiance Of Any Diamond. Reflect Your Personality. Be Brilliant. Jewelry Repair, Watch Repair, Financing & Appraisals. Design The One-Of-A-Kind Ring Of Your Dreams. View Our Selection Of Luxurious Timepieces. Sophisticated Design, Inspired Individuality Browse our collection of rings, necklaces, bracelets and more. Easily one of the most full-featured jewelry stores Charlotte NC has to offer, Ballantyne Jewelers has always placed an emphasis on superior customer service. 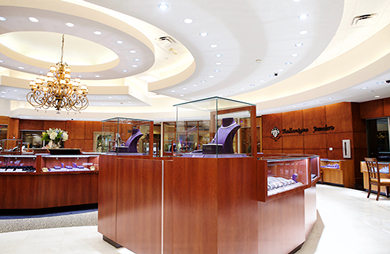 For more than 50 years, we've been the go-to vendor of every kind of jewelry imaginable in the Queen City. Transparency and ethics are the cornerstones of our business philosophy. At Ballantyne Jewelers, you'll find everything from engagement rings to Swiss watches to loose diamonds at unbeatable prices. 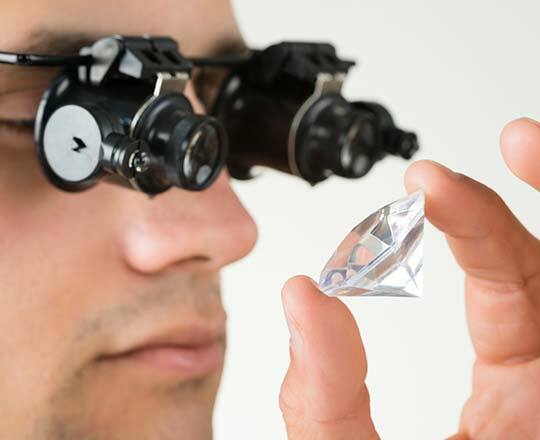 Our precious stones are graded by trusted institutions like the Gemological Institute of America. Ballantyne Jewelers is one of the few jewelry stores in Charlotte NC that offers gemstone education classes for the benefit of our customers.